Nowadays with a lot many driving schools available in and around the country, it is really hard to find a reliable driving school that can offer you complete assistance in learning driving. Dhoot Driving School Farnborough London is such a great driving school that offers all kinds of heavy vehicle as well as light vehicle driving training in an excellent manner. If you are a one that wishes to get a job as a driver and plans to learn how to drive heavy goods vehicle, they are the best school to rely upon. Why choose Dhoot Driving School Farnborough London? One of the major specialties of this driving school that makes us stand unique among the others is there wide language support. Most of the driving schools in London offer only training in English and non-native English speakers will find it really hard to follow the lessons. But the instructors or trainers available with Dhoot are well known of different languages, so you can easily follow the lessons. You will be provided with classroom sessions as well as practical driving trainings by the professional trainers. Moreover all the trainers are registered under Driving Standard Agency and are Approved Driving Instructors. This will ensure that you have the best coaching from the experienced trainers. They are experienced enough to give you a complete idea on different traffic rules and regulations that you need to follow while driving. The interactive and fun filled training sessions will never make you bore. Unlike other driving schools, we offer good condition vehicles for you to learn driving and this will make your driving experience more enjoyable and easy. All our vehicles used for this purpose have a dual control system that will help the tutor have a control on your vehicle all the time. So you do not have to worry about crashing or accidents while learning driving. This will help you have a pleasant mind while learning how to drive which is really important. Yet another important thing about Dhoot Driving School Farnborough London is the different types of driving courses offered by them. From LGV (HGV) training to Driver CPC training is offered by them. As you all know driving a LGV (Large Good vehicle) or a HGV (Heavy good vehicle) need a lot of confidence and excellent driving skills. Under the training of an expert from Dhoot ofcourse you can gain both the driver confidence and driving skills. Some of the different options that are available for you to choose from in LGV training include C1 – License, C1 + E – license, C1 + E- license 7.5t and trailer, C – up to 32 tones, C + E Truck and Trailer, B+E car and trailer training. Just like that, they also offer PCV training that will make you a best driver to drive a passenger carrying vehicle. Passenger carrying vehicle are of different types like D1 Minibus, D1 + E Minibus & Trailer, D Automatic Bus, D Manual Coach, D + E Coach and Trailer. The classification is done based on the number of people can transport at a time. Moreover we provide pass protection and PCV pass protection that will increase your chance to pass the driving test in the first chance itself. With a high pass rate, we have earned reputation among the people. When it comes to driver CPC training, Dhoot Driving School Farnborough offers complete assistance in getting the CPC certificate. For any driver it is necessary to attend the 35 hours CPC driver training under a certified instructor. With a CPC qualification, government is trying to make sure that only skilled people drive heavy duty vehicles. 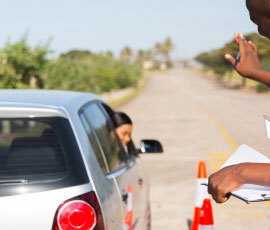 Every driver with a CPC qualification is forced to renew it in every five years. Our trainers will prepare you adequately for CPC exams. It is necessary that a driver pass both CPC theory test and practical test to get the certificate. 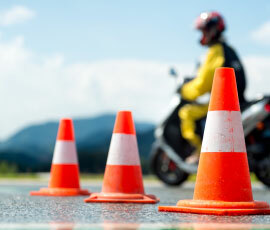 We also provide CPC case study which will help you evaluate your driving skills on your own. With us, you can get all these special offers and excellent training sessions at a very reasonable price. Let you be a student or a jobseeker or a homemaker, we have different driving courses suitable for you. Just visit our website to know more about our services and our special driving courses suitable for you.